I hope that I can do this amazing birth story justice. I find it hard to commit to simple words when something so miraculous has occurred and lives have forever been transformed. This young couple went from a sweet couple to a precious family in a matter of hours and I got to be there to watch it all happen. I still can’t really believe it. Just a few weeks before this baby’s due date, his mama-in-waiting invited me to be a part of this amazing time. I think we were both nervous. She was about to become a mother for the very first time, and I wanted to be just what she needed during that time. I wanted to be a fly on the wall, blending in so as not to detract from the experience, or the encouragement and support that she needed. To gauge what that need is in such a time is…challenging. I got the late call, only a short while after falling asleep, on February 26th. I awoke deliriously thanks to my hubby. Immediately I got up and started getting ready to go only to get an update a little later that it would likely not be until the morning that they would be ready for me. I slept restlessly, as I’m sure they did. The anticipation. The excitement. The nervousness. I left for the hospital around 7:30 am, stopping to get Daddy an espresso and some oatmeal. I arrived and all seemed a bit too still. Mama was working gracefully through some serious pitocin-induced contractions and daddy was working right alongside her, soothing and encouraging the whole time. I could see more transformation occurring. After obnoxiously blowing up a birth ball by foot, I left for the waiting room to give them their space. I enjoyed the company of Stephanie’s family as we passed the time by sharing our own birth stories and making silly observations about our surroundings. We were all more nervous and helpless then we were willing to admit, asking each other question that we knew we couldn’t answer. Then an update via daddy came. He was banished to the waiting room too while they administered her epidural. Though she went for several hours on her own, the intense pitocin proved too much and she was ready for a little relief and rest. Daddy refreshed with some snacks was anxious to get back to his wife. Soon mom was feeling better and we were all invited back to visit. There were words of encouragement, laughter, and prayer. It was so special to watch the love and support and anticipation in the room. Before too long it was time to pick up the pace. Mama knew that the time was approaching and she was ready to push. 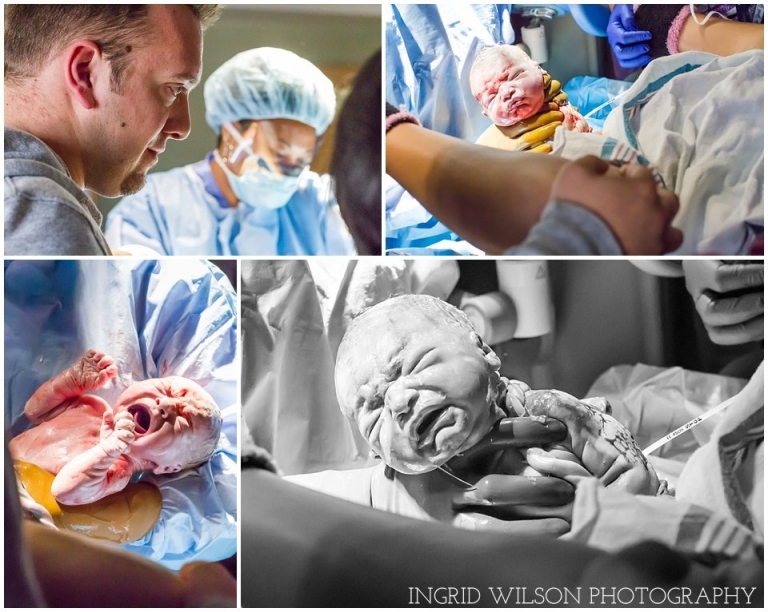 Her awesome midwife entered the scene and nurses began descending. Voices were coaching, encouraging, guiding, and directing. Bodies were moving, preparing, and PUSHING. Hearts were racing. Time lapsed. I can’t even remember how long she pushed. I just kept snapping and praying, snapping and praying, and trying to be as invisible as possible. I was admittedly shaking. 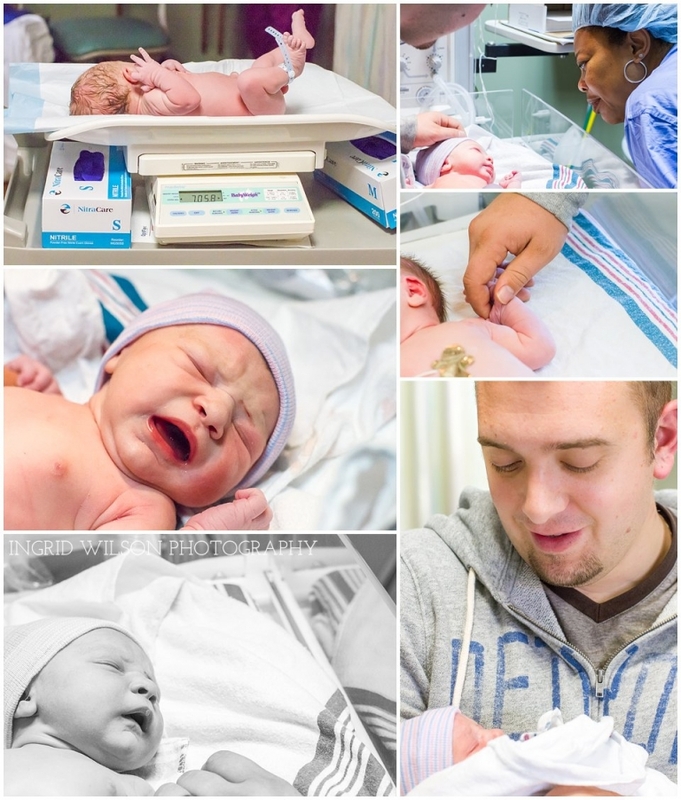 And then….a baby BOY emerged! The room erupted. Tears flowed. Laughter and praise filled the air. It was a birthday party. In that moment, a new life blessed the world and simultaneously parents, grandparents, aunts, & uncles were born. Love grew exponentially. And I got to witness it all. It was absolutely incredible. I will forever cherish the sweet memories of this experience. I look forward to watching this family grow. Thank you, Ryan & Stephanie, for allowing me this honor. I am so proud of you and love you all so much.